Currently there are open Postdoctoral positions available at TTP, starting in fall 2019. Further information you find here. The focus of our research at the Institute for Theoretical Particle Physics is the study of physics of elementary particles. Physics of elementary particles is successfully described by the Standard Model of Particle Physics that was proposed as the leading theory of Nature more than 40 years ago. The Standard Model is an extremely successful theory which describes a vast majority of phenomena that are observed in the Universe. Yet, theoretical shortcomings of the Standard Model suggest that this theory is incomplete and that additional, so far unknown, particles and interactions should exist. The research of the Institute contributes towards discovering the physics beyond the Standard Model through refined theoretical descriptions of Standard Model processes and through a development of specific models of New Physics. 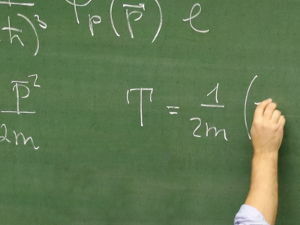 Researches at the Institute provide theoretical support for studying Higgs boson physics at the LHC, explore the flavour structure of the Standard Model and beyond by studying properties of B and D mesons and develop new methods for performing high-precision computations in Quantum Field Theory. From 25.03. to 29.03. numerous members of our institute attended to this years Spring Meeting of the German Physical Society (DPG) in Aachen. 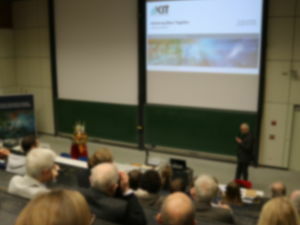 The meeting included talks, tutorials and fruitful discussions at the RWTH. Since Aachen is one of the collaborators of the CRC “P3H'', we were especially pleased to meet other scientists of the CRC to talk about current projects. Our Institute was represented by: Kirill Melnikov with invited talk: “Progress in QCD calculations and applications to LHC physics”, Maximilian Delto with a talk “Integrating double-unresolved collinear emissions for NNLO computations”, Marvin Gerlach with a talk “Wilson coefficients for Higgs boson production to O(α_s^4)”, Florian Herren with a talk “Next-to-next-to-leading order real corrections to Higgs boson pair production in the large top mass limit”, Matthias Linster with a talk “A Realistic U(2) Model of Flavor”, Jacob Schwichtenberg with a talk “Gauge Coupling Unification without Supersymmetry” and David Wellmann with a talk ”Double Higgs boson production at NLO in the high-energy limit“. More about the meeting we can find here . Roman Lee from the Budker Institute of Nuclear Physics in Novosibirsk visits the TTP and provides a lecture about ”Libra: a program to reduce differential equations for master integrals“. Libra is a program package which can be used to transform a system of differential equation into canonical form. 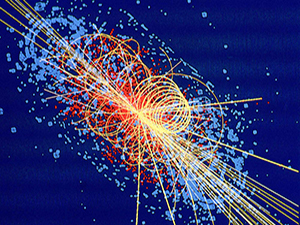 A kick-off meeting of the Collaborative Research Center “Particle Physics Phenomenology after the Higgs discovery” will be held at KIT on March 18-19. More information about the meeting, including its scientific programme, can be found at this link. The sixth KSETA Plenary Workshop took place in Durbach from February 25 to 27, 2019. Marta Moscatti from the TTP gave a plenary talk about quark and lepton flavour violation in unified theories. More information about the Workshop can be found at KSETA Plenary Workshop 2019 webpage. Recently, two TTP PhD students Kirill Kudashkin and Marco Bonetti attended the International School on "Modular forms, periods and scattering amplitudes" at the ETH Zürich. The School took place from 11.02.2019 to 15.02.2019. The goal of the school was to provide a common background to both physicists and mathematicians working in the field of scattering amplitudes and to introduce participants to new powerful tools for the evaluation and study of Feynman integrals.